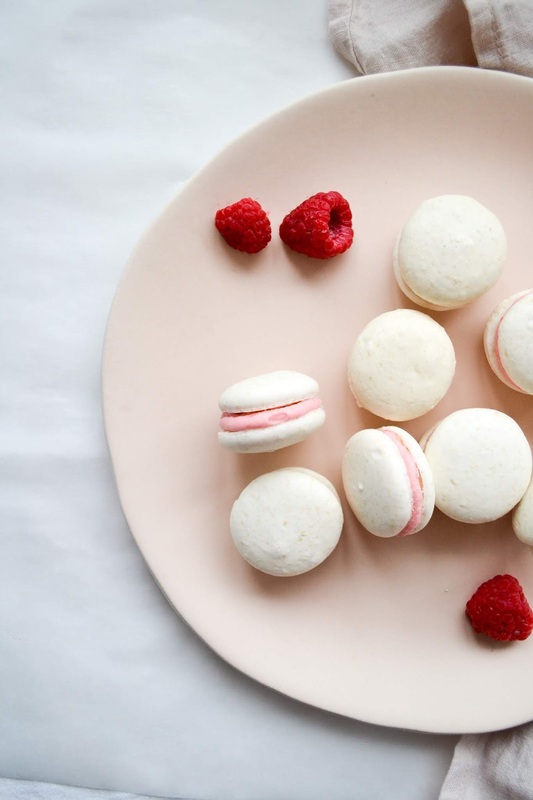 There are few sweet treats more delicate or elegant than French macaroons. These almond meringue sandwiches are not always easy to get right, but that first perfect batch will make all the effort worth it. 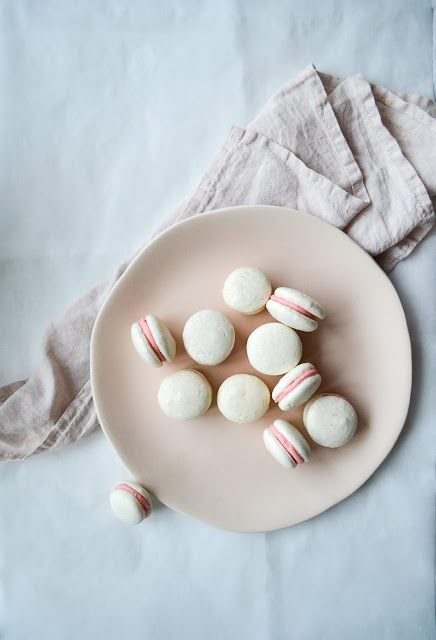 To celebrate National Macaroon Day, I've partnered with Lakeland to share my top tips for perfect macaroons, every time. Begin with your mis en place, which means getting everything ready and in its place before you start baking. Line your baking sheets with paper, draw out your guide line circles (if using), and weigh all of your ingredients out before you begin mixing. Measure your ingredients precisely. For a mixture so delicate, even a couple of grams over or under can distort the texture of the batter. I really recommend investing in a good set of digital scales, such as these, for baking. Ensure that your egg whites are at room temperature, and don’t be scared to mix the dry ingredients into the whisked egg whites. While you don’t want to knock all of the air out, you do need to ensure everything is smooth and well incorporated. 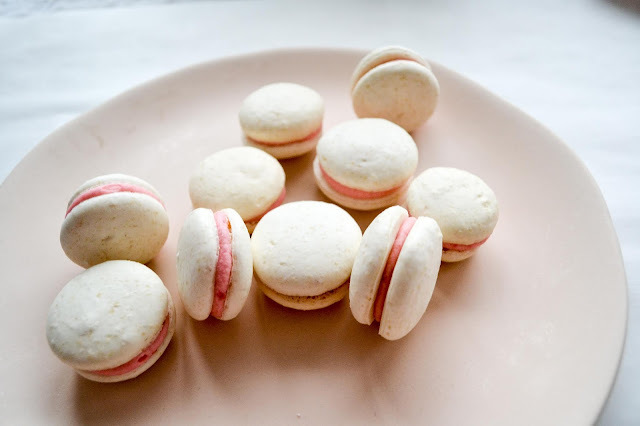 Under-mixed macaron will appear grainy, so keep mixing until your mixture is supple and shiny. Use a disposable piping bag to pipe your macaroon shells. This will allow you to create neat, round disks, which I find impossible to achieve by hand! 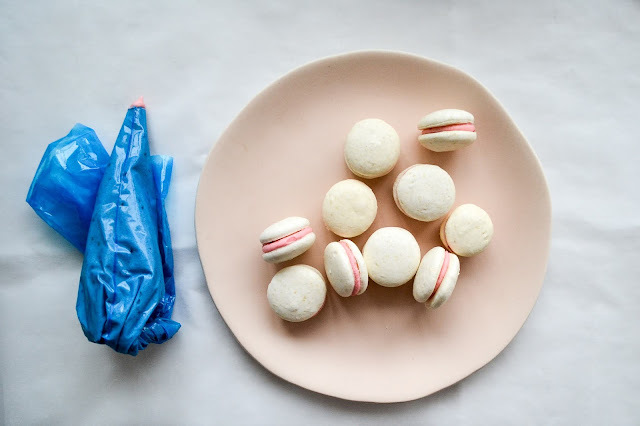 You can also use a piping bag to fill your macarons with ganache, buttercream, jam or jelly. Finally, be patient and ensure that the shells have time to rest and have formed a ‘skin’ before you bake them. This will give your baked macaron a smooth, shiny surface, and allow the batter time to develop the characteristic ‘foot’ to the finished macaron. Good luck! Tag me in your pictures over on Instagram, Facebook and Twitter - find me @puddinglaneblog. Clean a separate mixing bowl using half a lemon (this is to ensure any specs of dirt are removed). Add the egg whites and the salt to the cleaned bowl, then whisk into soft peaks. Once the whites are stiff enough to hold their shape, add the caster sugar 1 tsp at a time, whisking in between each spoonful to ensure the sugar is dissolved. To make the filling, whisk the butter to soften then slowly add the icing sugar. 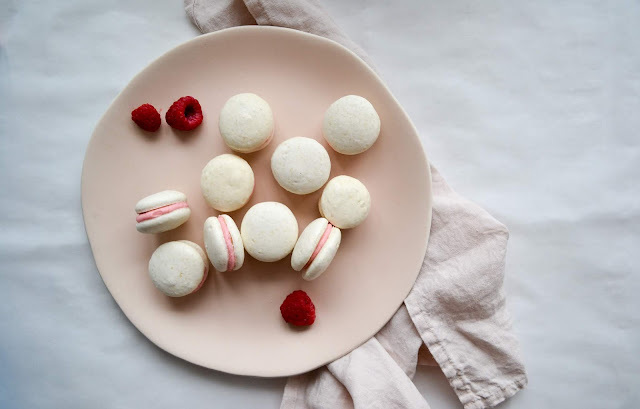 Once the two are combined into a sandy texture, then add a raspberry at a time, whisking in-between, until the mixture takes on a stiff buttercream texture. This will be between 5-10 berries. Cut the remaining raspberries in half. To sandwich, spread a layer of butter cream on a macaron, then place half a raspberry in the centre and top with a second macaron. The post was written in affinity with Lakeland but all views are - and always are - entirely my own.